The Rosey Jones Tattoo Girl Mid High Socks from American Socks are inspired by a 70s suburban culture of skateboarding. The signature series calf high socks are designed for action and endurance with a reinforced heel, sole and toe and a comfortable padded step. 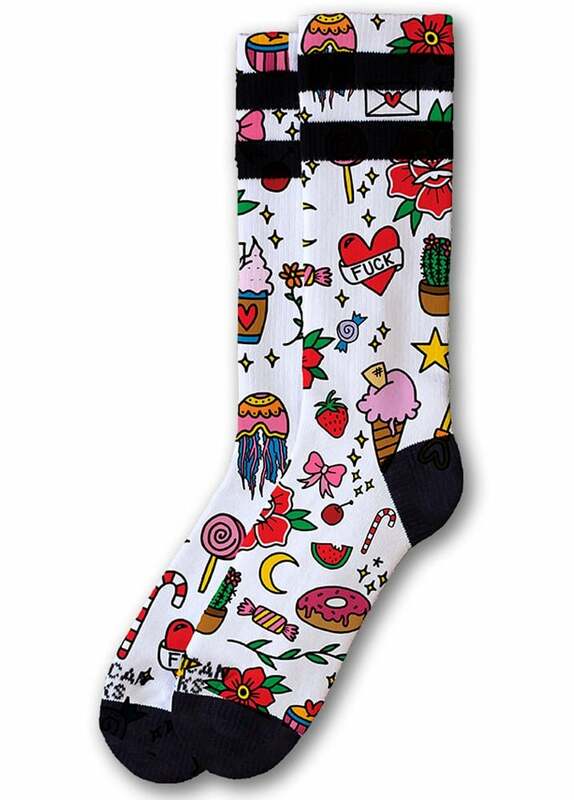 The print features all your favourite junk food and tattoo flash!